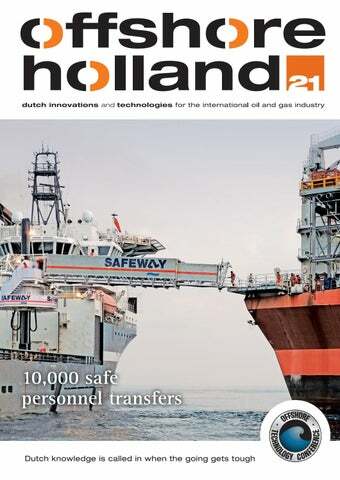 Offshore Holland is a magazine with the objective to promote the interests and export opportunities of the Dutch supply - and service companies in the upstream oil and gas industry. In March 2018 Maersk Drilling, the world leading provider of high-efficiency drilling services, awarded GustoMSC the first order for the uniquely designed multifunctional arm ‘Chela’. Mid Q2 2019 ‘Chela’ is going to be installed on the ‘Maersk Invincible’, while operating offshore in the giant oilfield Valhall in the southern Norwegian North Sea for AkerBP. Moreover technological developments will be highlighted in order to contribute to a positive representation and positioning of the Netherlands as innovative and ingenious partner country. 12 | G  reater collaboration defines future Vryhof underlines the importance of a partnership in fulfilling future mooring requirements. Managing Director Leopoldo Bello has laid out his vision on the advantages of a project partnership with major EPCI contractors, based on his belief that greater collaboration will define the future of many main contractor and sub-contractor relationships. 16 | Integration into DEME Offshore DEME Group has integrated the activities of several subsidiaries into one business unit – DEME Offshore. With offices in Holland and Belgium. 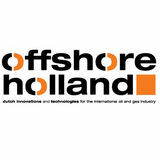 The newly formed company provides the most comprehensive offering to offshore oil, gas and renewable energy customers. And is now able to fulfil the future requirements of customers even more rigorously. Welcome I am honored to welcome you to the 2019 Offshore Technology Conference, one of the world’s premiere trade shows that brings together energy professionals who are dedicated to improving offshore resources while addressing environmental concerns. medium-sized contractors, large manufacturers, suppliers, and more. I’m pleased this year is no different. You can meet with more than 40 Dutch stakeholders in our 1000-square-meter Holland Pavilion, or one of the many more companies that are presenting outside the pavilion. The Holland Pavilion has great diversity in oil and gas exploration and production, and a strong focus on cost efficiency, energy innovation, and sustainability. We look forward to meeting you and talking about opportunities to create new partnerships and strengthen those that already exist. Henne Schuwer Ambassador of the Kingdom of the Netherlands to the United States of America. GustoMSC is a reputable design & engineering company of mobile offshore units and equipment. We enable and support safe and efficient operations at sea, contributing to a sustainable future. At IJmuiden Seaport, Breman Offshore B.V. is situated alongside the quay, with an excellent accessibility for seagoing vessels. As a service partner we provide solutions for your specialized Offshore and Marine equipment. We have both the location and the know-how, therefore Breman Offshore B.V. can be your partner if you are looking for facilities to build and test machines and constructions. Meet the Dutch Transition, one word that says it all. It is obvious that, in order to keep up with the current developments in the oil and gas industry and offshore renewable industry, we need to keep adapting to a different way of working in ever changing and unpredictable geopolitical circumstances. Despite of the challenging times, the Dutch offshore sector has proven to be able to cope with the difficult conditions through chain cooperation, strong entrepreneurship and innovation. Over the last 50 years an extensive network of pipelines, platforms and subsea installations has been developed in the North Sea to produce oil and gas from offshore fields. As more and more small fields become empty, decommissioning and the dismantling of platforms that are no longer used are becoming increasingly important and available for the next step. Next to permanent removal in an efficient and effective way, innovations are under development to enable reuse of existing infrastructure for oil and gas for future use in energy storage and power balancing offshore. Old infrastructure can be used for energy or CO2 storage (depleted fields), energy conversion with Power to Gas or Gas to Wire (platforms) or energy transport and storage (Hydrogen). With the innovative developments, we have laid the foundation for a stronger international competitive position, from which we can benefit in the further strengthening of the market. Nonetheless, oil and gas will continue to play an important role in the global energy mix for decades to come. The Dutch suppliers are also leaders in the field of clean and safe conventional energy production and are way ahead of our international competitors. Developments are not only taking place in the North Sea, but also in the Americas area. Mexicoâ&#x20AC;&#x2122;s Energy Reform of 2013 has set in motion a series of changes that continue to revolutionize the countryâ&#x20AC;&#x2122;s oil and gas industry. With vast untapped hydrocarbon reserves, increasing demand from a growing population and economy and a new regulatory framework, Mexico is quickly becoming one of the most exciting markets for oil and gas companies along the entire supply chain. Also, the developments in the Brazilian offshore energy sector are still heading in the right direction. Petrobras anticipates growing its oil production in Brazil next year due to the start-up of five new production systems this year and three more to go in 2019. In total Petrobras will invest a total of 84.1 billion by 2023 in order to increase the countryâ&#x20AC;&#x2122;s production of oil and gas. After being internationally one of the top 5 suppliers for more than 40 years in the field of upstream Oil and Gas activities the Dutch are ready and best equipped for further development of the Gulf of Mexico, Offshore Guyana and Offshore Brazil amongst others. It is obvious that, with the transition in progress, the Dutch supply chain is quickly adapting to new market conditions. Although the coming years will be challenging years for our industry, they will be full of opportunities both in the field of conventional energy and sustainable energy. Whilst our IRO members will keep focusing on cost-efficiency, sustainability and innovation in conventional oil and gas developments on a global scale, the energy transition presents us with vast opportunities to maintain our position as a frontrunner in the global energy industry. To find out the details of all our 420 member companies please visit www.iro-catalogue.nl The Dutch look forward to doing business with you and hope to meet you at our Holland Pavilion at OTC Houston 2019! Increased reach capabilities for ‘Chela’ In March 2018 Maersk Drilling, the world leading provider of high-efficiency drilling services, awarded GustoMSC the first order for the uniquely designed multifunctional arm ‘Chela’. This was a landmark event for the Dutch design & engineering company that further accelerated Chela’s development. Mid Q2 2019 ‘Chela’ is going to be installed on the ‘Maersk Invincible’ (a GustoMSC CJ70 design), while operating offshore in the giant oilfield Valhall in the southern Norwegian North Sea for AkerBP. By using this multifunctional lifting tool Maersk Drilling puts herself in an advantageous position, since ‘Chela’ significantly eases safe material handling underneath the cantilever which reduces the total well construction time considerably. A unique feature that directly addresses the call for cost reduction from operators. The uniquely designed multifunctional arm ‘Chela’. ‘Chela’ was fabricated in the IJmuiden facility of Breman. Chela’s moveable arm creates a sturdy hoisting point underneath the cantilever, enabling wireline operations away from the well centre of the drill floor. It thus provides a huge advantage in development drilling, infill drilling and plug and abandonment operations. Every G20 certified crane operator can operate ‘Chela’ after training. She is controlled with a handheld remote, allowing the operator to be in the optimal position to oversee and control the operations at all times. The arm is supplied with an anticollision procedure to ensure that the load and crane boom do not collide with obstacles such as the riser at well center or topside modules below and aft of the rig. Safeway passes 10,000 safe personnel transfers at Shell Bonga FPSO As from March 6, 2019, the unique Safeway motion compensated offshore access system of the Dutch Van Aalst Group completed over 10,000 safe personnel transfers for Shell Nigeria Exploration & Production Company (SNEPCo) during a maintenance campaign on board the Bonga FPSO (Floating Production, Storage & Ofﬂoading). To perform this maintenance and inspection project of the giant FPSO, the unique 28 metre long walk-towork Seagull-type is installed on the 95-metre long multifunctional subsea vessel Olympic Triton, owned by Olympic Subsea ASA, Norway. Specifically for this Bonga-project the DP2 diesel electric ROV support vessel has been chartered by Temile Development Company, an indigenous shipping company operating in the Nigerian oil and gas industry. As both the Olympic Triton and the Bonga FPSO are vessels with individual movements in the water, the innovative and advanced control system of the Safeway Seagull was able to perform the Ship-to-Ship W2W operations as the world’s first supplier without modifications or additional control units on the FPSO landing point. The FPSO varies in draft due to its normal operations. The Safeway Seagull’s standard ten (10) meter vertical height adjustment of the gangway allowed the 10,000 workers and their tools to be safely transferred from the Olympic Triton to the Bonga FPSO and vice versa at a spectacular pace, leading to an increase in operational efficiency. The giant Bonga floating production, storage and offloading (FPSO) vessel is in use at Shell’s Bonga oilfield (discovered in 1993 and with a life of 20 years), which lies 120 km off the coast of the Niger Delta, covering an area of 60km². The vessel, whichbecame operational in 2004, is permanently installed in water depths ranging from 1,000m to 1,125m. First oil production was made in November 2005. ‘Greater collaboration defines future of relationships between main and sub-contractors’ Vryhof, the market’s trusted global provider of customer-focused anchoring and mooring solutions, underlines the importance of a partnership in fulfilling future mooring requirements. Based on his belief that greater collaboration will define the future of many main contractor and sub-contractor relationships in the offshore industry Managing Director Leopoldo Bello describes the advantages of such a project partnership with major EPCI contractor. LNG receiving terminals that use FSRUs can be installed at a lower cost and fabricated within a shorter period than conventional onshore receiving terminals and are viewed as an effective means of building LNG receiving capacity in emerging countries. Vryhof delivered a storm mooring system to keep the FSU safe and secure in event of a heavy storm. Within this project, Vryhof worked in partnership with the Norwegian subsea contractor Ocean Installer. The installation of the complete mooring lines proposed by Vryhof had to be undertaken in a bay area with water depths ranging from 14 to 17 metres, but with heavy marine traffic. The permitted work area was so narrow that the only way to tackle the problem was to employ Vryhof’s STEVTENSIONER®. No other installation method is as well suited to such a shallow bay location, since its design involves a vertical pull to induce more than twice the horizontal pull. Furthermore, the work area taken up by the construction support vessel Normand Pioneer was cut by as much as 75 %; a decisive benefit in this particular situation. Looking back on the collaboration with Ocean Installer and Vryhof, Catherine Halpin, Commercial Director of ElectroGas Malta said: “The successful completion of the Storm Mooring System was absolutely essential to the overall success of our entire facility. Integration of various subsidiaries into DEME Offshore DEME Group has integrated the activities of its subsidiaries GeoSea, Tideway, A2Sea and EverSea into one business unit - DEME Offshore. With offices in Holland and Belgium. As from mid-February 2019 the newly formed company provides the most comprehensive offering to offshore oil, gas and renewable energy customers. Over the past decade the activities of the aforementioned companies have experienced strong growth in a fastevolving offshore energy market. By integrating all of the offshore activities, expertise and capabilities into a more agile organisation, DEME Offshore will be able to fulfil the future requirements of customers even more rigorously. DEME’s newest, self-propelled DP2 jack-up vessel ‘Apollo’ was officially named in the port of Zeebrugge, Belgium in Q1, 2019. One of the exceptional features of the ‘Apollo’ are its extremely long lattice legs of 106.8 m, which allow the vessel to jack-up in water depths up to 65 m. The vessel is equipped with an 800-tonne, leg-encircling crane and has an unobstructed, spacious 2000 m² deck with a load carrying capacity of 15 t/m². In the meantime DEME Offshore has received an extension notice from AF Offshore Decom for a current frame agreement to include future removal and disposal of up to four additional platforms for a client in the UK North Sea. DEME Offshore’s scope will be to provide the marine services for the removal of up to four platforms with a total weight of approx. 4,500 tons. This brings the total platforms to be removed to 11 by DEME Offshore. By taking a creative approach to providing solutions for complex integrated pipelaying systems and vessels, Royal IHC has succeeded in winning three hugely significant contracts. One of these is a 550-tonne reel-lay system for Shanghai Salvage. Another one was a reel-lay vessel for Subsea 7 (see photo). The first of its kind in the Chinese market, and one of the largest and most sophisticated systems worldwide, it has the capability to lay rigid as well as flexible pipes. It will enable Shanghai Salvage to deal with significant PLEM (pipeline end manifold) sizes and weights. the tensioners and key subsystems will be built in Europe. system also designed, engineered and built by IHC. The project is hugely significant for IHC, which has been active in the Chinese market for more than 30 years. The company has positioned itself as a knowledge partner to contractors in the country and is seeking to continually collaborate with customers in the region. Subsea 7 was looking for an addition to its fleet based on the Seven Oceans reel-lay vessel that IHC had already built for them. The content of the tender included an option for bidders to provide a custom-built solution. Additionally, IHC has been awarded a contract to modify McDermott International Inc.’s pipelay and construction vessel Amazon. This includes the delivery of an innovative and complete J-lay system. IHC will be responsible for the management of the modification project, from the design through to the integration of the new equipment. This includes the build and installation of the IHC-designed and patented J-lay system, and the removal and replacement of the equipment and commissioning. Through the Amazon project, IHC is aiming to set a new benchmark for installing a multi-joint J-lay system in a vessel of this size. Its novel approach is expected be a gamechanger in the market and the J-lay system will be able to handle every variety of pipe. developing the final specifications. On the Amazon project, the use of existing proven technology and process automation, combined with early collaboration with the system designers, meant that McDermott was assured of a highly efficient and cost-effective asset. All projects highlight IHCâ&#x20AC;&#x2122;s remarkable creativity as a provider of solutions for complex integrated pipelaying systems and vessels. They also show the full extent of its capabilities when it is challenged to come up with an optimum solution and explain why IHC remains at the forefront of the market for pipelaying systems and integrated vessels. STRUGGLING WITH SAFETY AND RELIABILITY DURING HIGH PRESSURE TESTING? High pressure technology is our core competence With over 25 years of experience in the oil and gas industry, we help our customers make quality business decisions to increase the productivity of their business in a cost-efficient way. We engineer safe and reliable high pressure solutions for pressure testing, controlling, injection, filling, and other applications. First generator protection system for dual fuel ships Bakker Sliedrecht has been the first to develop a generator protection system (CDG-protection) for dual fuel vessels which operate with a dynamic positioning system (DP) 2 and 3. The system has been successfully tested by classification society DNV GL. The Common Diesel Generator protection system of the system integrator developed will be deployed for the first time on an offshore heavy lift vessel, which is currently under construction. The ship is equipped with a power plant of 4 generators of 10 MW each, which run on both diesel and LNG. Generator protection is essential to prevent a blackout or failure in the power plant, causing the ship to lose its position during operations. Vessels that sail in DP 2 or 3 mode have to maintain their position at all times, even in case of failures or malfunctions in the fuel system, a diesel, a generator, the switchboard, or the control system. To prevent such malfunctions power plants are usually divided into independent isles. However, this makes generators run inefficient which is undesirable cost- and environmentally wise. That is why ships nowadays prefer to operate with generators in parallel operation. Without generator protection, a complex DP vessel will therefore not receive a certificate to operate in DP2 or DP3 closed bus mode. Bakker Sliedrecht started in 2017 with the further development of its own CDG protection system for complex work vessels. The system is now so far developed that it can be deployed in the heavy lift vessel. During the last months, it has been extensively tested in a test set-up of four generators. Three days - that’s what it took to lift four of the last pieces in the Johan Sverdrup puzzle into place - the two final platform topsides, a bridge and a ﬂare stack. heavy lift vessel Thialf. The final bridge that will connect the utility and living quarters topside to the rest of the field centre will be installed in the next possible weather window. “We have completed the heaviest lift ever performed offshore. Over the course of just three days, we have lifted almost 47,000 tonnes into place. And the whole process was completed safely and efficiently, without harm to people or the environment,” says Ståle Hanssen, responsible for engineering, installation and commissioning in the Johan Sverdrup project. to start production in November,” says Bokn. The first item on the agenda is hook-up, testing and commissioning of the two final topsides. This will be followed by testing and ensuring that all four platforms – and the field centre as a whole – function as a single unit. Completing the tie-back of the eight pre-drilled production wells on the field to the drilling platform will also come in addition to this. Introduction of new way of offshore access Rotterdam-based LIFT2WORK developed, produced and offers a new way of offshore access by lifting to work. The OPTS (Offshore Passenger Transfer System) is an excellent tool to access wind turbine platforms, oil and gas platforms and other sea going vessels or structures. The system has the ability to move freely 2×200° with a reach of 24m horizontally, and more than 20m vertically above the ground/deck. It can also drop to 6m below the level of the deck/quay (for example) for rescue purposes etc. The OPTS is a fully Dutch designed and built product. that can transfer a limited number of persons from one position to another, whether it be fixed or mobile it does not matter. A smooth and seamless transportation is guaranteed. A full hydraulically compensated system ensures save transfer from a moving vessel or barge to an offshore structure. With an arm length of 10m and a basic footprint of 8’ x 8’ (2440mm x 2440mm) the OPTS can easily be integrated into a deck construction. The available deck mounting frames provide a fast and painless mounting possibility, and due to their light but strong and rigid construction, enables quick, easy and safe lifting and transport options. The offshore access system can also be used to lift goods and tools with or without heave and/ or motion compensation. Features of the OPTS are: • Low weight 15 ton; • Very short mobilization in one day; • Easy transport One 40” container and plug & play; • Multi-function for passenger transfer, load lifting up till 2000kg, rescue and firefighting, FPSO access and decommissioning support working under deck. The OPTS is fully commissioned and certified by DNVGL under the ST of 378 and 358 as crane and as gangway. Offshore Energy Exhibition and Conference (OEEC) is where the energy transition takes place. It is Europeâ&#x20AC;&#x2122;s leading gathering of the entire offshore energy industry and your opportunity meet highly qualified experts and professionals across global markets. Three days of networking and shaping the future of energy together. The question is not if but how you will be participating at Offshore Energy 2019. Full Mission Bridge Simulators Many design choices for Floating Offshore Installation are driven by expected operational performance. Design studies help to understand operability limits, but real life performance depends on mariners and agreements between owner and operator. MARINâ&#x20AC;&#x2122;s clients increasingly use Full Mission Bridge Simulators to bring all parties and expertises together to establish operational procedures and evaluate weather limits. First the limiting weather conditions were selected from a large amount of numerical simulations in which the tugs were controlled with autopilots. Since forces of wind, wave and current sometimes cancel each other and at other times align to cause large loads in the hawser, associated weather conditions had to be studied. This results in a strong focus on probabilities and mathematics. To combine this hydrodynamic knowledge with nautical experience and to involve both owner and operator in the conversation about practical limits, selected weather conditions were evaluated with manoeuvring simulations. The full mission bridge simulations were executed in MARINâ&#x20AC;&#x2122;s Houston office and provided an understanding of the operational offloading limits and demonstrated differences between the solutions of the tug algorithm used in the desktop study and the mooring master on the bridge. The bridge simulator provides a great communication tool for mariners and designers. This cooperation provides feedback from mariners into the design and improves the operational guidance to the field. www.airborneoilandgas.com Headquartered in The Netherlands, Airborne Oil & Gas develops and manufactures Thermoplastic Composite Pipe (TCP) to the Oil & Gas industry since 2007. As the first and leading manufacturer of TCP, the company has gone to deliver over 20 TCP products for various applications in both onshore and offshore, SURF and Subsea Well Intervention markets, including hydrocarbon service, gas lift, methanol and chemical injection. Stand 1525 The lightweight, high strength and corrosion resistant composite pipes provide cost and operational benefits in subsea production and oil field service applications. TCP is truly an economic and viable alternative to metal and flexible pipe. Airborne Oil & Gas (AOG) is fully qualified in accordance to the new DNV standard DNVGL-ST-F119 for TCP in subsea applications. AOG’s shareholder base includes HPE, Shell Ventures, Chevron Technology Ventures, Evonik, Saudi Aramco Energy Ventures, Subsea 7 and Sumitomo Corporation. Headquartered in The Netherlands, Airborne Allseas is Oil a world & Gas leader develops in offshore and manufactures pipeline Thermoplastic installation, heavy Composite lift andPipe subsea (TCP) construction. to the Oil & We provide Gas industry supportsince to clients 2007.inAsthe theconceptual first and leadingstage, design manufacturer and offerofservices TCP, theforcompany project has gone to deliver management, engineering, over 20 fabrication, TCP products installation for various and platform applications removal/decommissioning. in both onshore and offshore, SURF and Subsea Well Intervention markets, For over including 30 years, Allseas hydrocarbon has been service, at thegas lift, methanol of forefront and cutting-edge chemical injection. technologies, pushing the boundaries to deliver state-of-the-art solutions to meet the market’s ever-changing needs. Worldwide we have executed around 300 projects and installed more than 23,500 km of subsea pipeline, operating a versatile fleet of specialised heavy-lift, pipelay and support vessels, designed and developed in-house. Stand Stand 1525 1415 The lightweight, high strength and corrosion resistant Our heavy composite lift vesselpipes Pioneering provideSpirit cost and removes operational and installs benefi platform ts intopsides subsea up production to 48,000and oil fieldand tonnes service jackets applications. up to 20,000 TCPtonnes is truly an economic in a singleand lift. viable alternative to metal and flexible pipe. The vessel redefined heavy lifting in 2017 Airborne with the single-lift Oil & Gas removal (AOG) is of fully Shell’s qualifi iconic ed in accordance 24,000 tonnes to Brent the Delta new DNV platform. standard DNVGL-ST-F119 for TCP in subsea applications. Pioneering Spirit’s AOG’sfishareholder rst installation basejob, includes HPE,22,000 the Shell Ventures, tonnes drilling Chevron topsides Technology for the Ventures, Johan Sverdrup Evonik,development Saudi Aramco in 2018, Energy Ventures, was the heaviest Subsea and 7 and fastest Sumitomo platform Corporation. installation ever executed. Stand 1629 1525 With a track record ofstrength more than million The lightweight, high and5 corrosion safe people transfers,pipes moreprovide than 10cost million resistant composite and kg cargo transfers andts 250 projects worldwide, operational benefi in subsea production and Ampelmann operates in the Americas, Europe, oil field service applications. TCP is truly an Africa, Asia Pacifi c and the Middle East. economic and viable alternative to metal and flexible pipe. Airborne Oil & Gas (AOG) is fully qualified in accordance to the new DNV standard DNVGL-ST-F119 for TCP in subsea applications. AOG’s shareholder base includes HPE, Shell Ventures, Chevron Technology Ventures, Evonik, Saudi Aramco Energy Ventures, Subsea 7 and Sumitomo Corporation. Headquartered Anamet EuropeinisThe theNetherlands, manufacturer of Airborne Oil & Gasconduit develops and manufactures Anaconda Sealtite systems. Thermoplastic Pipe (TCP) to the Our Anaconda Composite brand products are known Oil & Gas industry 2007. Asquality the first worldwide for theirsince outstanding andand leading manufacturer of TCP, the company durability. The full range of conduits and has goneoffers to deliver overmechanical 20 TCP products for fi ttings excellent protection various applications in bothtoonshore andyour and exceptional flexibility meet even offshore,specifi SURFcations. and Subsea Well Intervention highest markets, including hydrocarbon service, gas lift, methanolEurope and chemical injection. Anamet strives to consistently provide customers with innovative products and excellent service. All Anaconda flexible conduits and fittings are developed especially to meet your requirements and are suitable for practically every feasible application, whether electrical or industrial. Stand 1629 1525 Our products meet thestrength highest specifi cations to The lightweight, high and corrosion guarantee a high level of provide performance under resistant composite pipes cost and extreme conditions. only isproduction this crucialand for operational benefits Not in subsea our to continue their operations without oil ficlients eld service applications. TCP is truly an disruption, butviable also italternative is vitally important economic and to metal for safetypipe. of the individuals and the andthe flexible environments where our products are used. Airborne Oil & Gas (AOG) is fully qualified For this reason,towe complete range in accordance theoffer newaDNV standard in conduit and fittings viable for various DNVGL-ST-F119 for TCP in subsea applications hazardous areas and applications. in AOG’s shareholder base includes explosive HPE, Shellatmospheres. Ventures, Chevron Technology Ventures, Evonik, Saudi Aramco Energy Ventures, Subsea 7 and Sumitomo Corporation. In the offshore in Headquartered industry, The Netherlands, maximum Airborne Oiland availability & Gas reliability develops are and alongside manufactures safety Thermoplastic of the utmost importance. Composite Pipe Bakker (TCP) Sliedrecht to the Oil &extensive has Gas industry experience since 2007. in theAs offshore the first and leading manufacturer industry with cable/pipe-layers, of TCP, theheavy-lifting, company has gone to deliver construction and drilling over 20 vessels. TCP products With for various applications professionalism, responsibility in both onshore and commitment and offshore, as our core SURF values, andour Subsea employees Well Intervention are there to markets, assist youincluding with electronics hydrocarbon solutions. service, gas lift, methanol and chemical injection. Bakker Sliedrecht offers tailored solutions throughout the economic life of your installation to optimise your total cost of ownership. From consultancy and design, assembly and installation to service and the delivery of components. www.airborneoilandgas.com www.barge-master.com OUR MOTION COMPENSATION. YOUR CONTROL. Our Gangway provides continuous access The lightweight, high strength and corrosion for peoplecomposite and cargo, ensuring safe transfers resistant pipes provide cost and to any offshore structure. operational benefi ts in subsea production and oil field service applications. TCP is truly an Our Crane and enables controlled lifting operations economic viable alternative to metal in sea states, andhigh flexible pipe. making it possible to work at sea almost year-round. Airborne Oil & Gas (AOG) is fully qualified Barge Master products areDNV designed to help in accordance to the new standard you deliver your project on time DNVGL-ST-F119 for TCPsafely, in subsea and cost-effectively. applications. AOG’s shareholder base includes HPE, Shell Ventures, Chevron Technology Ventures, Evonik, Saudi Aramco Energy Ventures, Subsea 7 and Sumitomo Corporation. Stand 1629 1525 • Flex/swing The lightweight, loadhigh barriers strength and corrosion resistant • Telescopic composite gangways pipes provide cost and operational • Helicopterbenefi hangars ts in subsea production and oil field service applications. TCP is truly an economic With our extensive and viableknowledge alternativeand to metal and flexible we experience, pipe. are able to provide our clients with innovative solutions. Airborne Oil & Gas (AOG) is fully qualified in accordance We are always to pioneering the new DNV the development standard DNVGL-ST-F119 of aluminium andfor provide TCP ininnovative subsea applications. solutions thatAOG’s meet the shareholder highest quality base includes HPE, Shell(ISO9001), standards Ventures, Chevron international Technology Ventures, safety (OHSAS18001) Evonik, Saudi regulations Aramco Energy and Ventures, Subsea environmental (ISO14001) 7 and Sumitomo requirements. Corporation. Headquartered in The Netherlands, Bolidt is the specialist in lightweight, flexible Airborne solutions Oil & Gasand develops and manufactures levelling deck covering systems Thermoplastic Pipe high (TCP)focus to theon for the offshoreComposite industry with & Gas industry sinceof2007. Asand the latest first and aOilconsistent high level quality leading manufacturer of TCP, the company HSE standards including requisite certification. has gone to deliver over 20 TCP products for various applications in both onshore and and By means of innovative systems, materials offshore, SURF and Subsea Well Intervention solutions for Offshore Service Vessels, Living markets, and including hydrocarbon Quarters Offshore platforms service, Bolidt gas lift, methanol and chemical injection. accommodates the demand of architects, engineers, shipyards, crew and owners for deck covering solutions that perfectly combine expected safety, sustainability and hardwearing characteristics. Stand 1629 1525 With a 55-year proven track record in R&D, The lightweight, high strength and corrosion production, application refitting deck resistant composite pipesand provide costofand covering systems knowsproduction best how toand operational benefiBolidt ts in subsea make theservice future applications. available today. oil field TCP is truly an economic and viable alternative to metal Bolidt aims at development, production and and flexible pipe. application followed by worldwide distribution. The versatile range flooring systems Airborne Oil & Gas of (AOG) is fully qualifimeets ed all sorts of requirements. From seamless, anti-skid, in accordance to the new DNV standard temperature resistant, hygienic floor finishes to DNVGL-ST-F119 for TCP in subsea lightweight, re-insulating, water impermeable applications.fiAOG’s shareholder base includes and deck covering systems. HPE,shock-absorbing Shell Ventures, Chevron Technology Ventures, Evonik, Saudi Aramco Energy Ventures, Subsea 7 and Sumitomo Corporation. Headquartered in The Netherlands, Damen Shipyards Group operates 35 shipbuilding Airborne & Gas and manufactures and repairOil yards anddevelops delivers vessels and Thermoplastic Pipe (TCP)Based to theon components inComposite over 100 countries. Oil unique, & Gas industry since ship-design 2007. As theconcept first and its standardised leading is manufacturer of TCP, the company Damen able to guarantee consistent quality. has gone to deliver over 20 TCP products for various applications both onshorekeeping and Furthermore, modularinconstruction, offshore, Well Intervention vessels inSURF stock and and Subsea thorough R&D leads to markets, including gas lift, short delivery timeshydrocarbon and reliable service, performance. methanol and chemical injection. Stand 1525 1723 Damen offers a wide of products, The lightweight, highrange strength and corrosion including tugs, workboats, naval and resistant composite pipes provide costpatrol and vessels, high-speed cargoproduction vessels, and operational benefitscraft, in subsea dredgers, offshore vessel, ferries, oil field service applications. TCPpontoons is truly an and superyachts. economic and viable alternative to metal and flexible pipe. In addition, Damen Shiprepair & Conversion has a worldwide network repair and Airborne Oil & Gas (AOG) of is 18 fully qualifi ed conversion yards withnew dryDNV docksstandard ranging in accordance to the up to 420 x 90 metres. DNVGL-ST-F119 for TCP in subsea applications. AOG’s shareholder base includes HPE, Shell Ventures, Chevron Technology Ventures, Evonik, Saudi Aramco Energy Ventures, Subsea 7 and Sumitomo Corporation. Stand 1525 installation The lightweight, and heavy high strength lift jack-up and vessels corrosion resistant with an unrivalled compositecombination pipes provideofcost exceptionally and operational high transport, benefi load ts and in subsea crane production capacity, and oil field DP2 hi-tech service fallpipe applications. vessels with TCP an is truly activean economic and viableRemote heave-compensated alternative Operated to metal Vehicle and fi xedflbelow exible the pipe.fallpipe, and a DP3 cable lay vessel with a cutting edge cable installation Airborne system onOil board, & Gas DEME (AOG)Offshore is fully is qualifi able ed to in accordance help customerstoachieving the new DNV the most standard demanding DNVGL-ST-F119 offshore energy projects. for TCP in subsea applications. AOG’s shareholder base includes HPE,DEME’s All Shell Ventures, latest additions Chevron to Technology the fleet are Ventures, as designed Evonik, green Saudi vesselsAramco equipped Energy with next Ventures, Subsea generation, duel fuel 7 and engines Sumitomo capable Corporation. of running on LNG or diesel fuel. Headquartered The Netherlands, EMCÉ Winchesindesigns and manufactures Airborne Oil & Gasand develops and manufactures electric-, hydraulic air operated winches, Thermoplastic Composite Pipe to the capstans and hose reels for the(TCP) marine, Oil & Gas&industry since 2007. As the first and offshore renewable markets. leading manufacturer of TCP, the company has gonecooperation to deliver over TCP products In close with20 our global dealerfor various applications in bothoffi onshore network and EMCÉ branch ces in and Bahrain offshore, and Subsea & BelgiumSURF our mission is toWell excelIntervention in product markets, including hydrocarbon service, gas lift, safety, quality, durability and performance. methanol and chemicalteam injection. With our experienced we tackle every lifting & pulling challenge up to 250 tonnes and very efficient ‘tailor’ our modular designs to customer specifications. Stand 1525 Fast, cost effective, ISO certified, tocorrosion any The lightweight, high strength and standard and with apipes strong focus on resistant composite provide costtotal andcost of ownership, fullytssummarized in our motto: operational benefi in subsea production and oil field service applications. TCP is truly an EVERY WINCH A WINNER! economic and viable alternative to metal and flexible pipe. Airborne Oil & Gas (AOG) is fully qualified in accordance to the new DNV standard DNVGL-ST-F119 for TCP in subsea applications. AOG’s shareholder base includes HPE, Shell Ventures, Chevron Technology Ventures, Evonik, Saudi Aramco Energy Ventures, Subsea 7 and Sumitomo Corporation. Headquartered in The Netherlands, Frames is a process control and system Airborne Oil Gasserved develops manufactures integrator that&has the and international Thermoplastic (TCP) to energy market Composite since 1984.Pipe Together, wethe design, Oil & Gas since 2007. As the first and build, and industry deliver oil & gas processing leading manufacturer TCP, the company equipment, separationof technologies, flow has gone& to deliver oversystems, 20 TCP products control safeguarding renewablefor various applications in both Our onshore energy and water solutions. core and offshore, SURF and Subsea Well Intervention competence is process and control system markets, including hydrocarbon service, integration. At Frames, we convert your gas lift, methanol and chemical injection. process and control concepts into skid-mounted solutions. We are headquartered in the Netherlands and have 7 international offices worldwide. Our people are educated, experienced and qualified with all relevant certificates. Stand 1629 1525 At we work TheFrames, lightweight, highdirectly, strengthone-on-one, and corrosion with eachcomposite client for pipes the best results. resistant provide cost and Sharp. Together. Committed. operational benefi ts in subsea production and oil field service applications. TCP is truly an Our visionand is toviable be thealternative first choice economic topartner metal in energy challenges. and flexible pipe. We will achieve this by utilizing our know-how and core values to understand needs of our customers. Airborne Oilthe & Gas (AOG) is fully qualified Thus, we continue to new develop in accordance to the DNVourselves standardto fulfill expectations, continuously DNVGL-ST-F119 for TCP instriving subsea to create sustainable for our customers. applications.added AOG’svalue shareholder base includes HPE, Shell Ventures, Chevron Technology We are Frames, together we energize the world. Ventures, Evonik, Saudi Aramco Energy Ventures, Subsea 7 and Sumitomo Corporation. World’s first manufacturer Headquartered in The Netherlands, of CPT Equipment Airborne Geomil is Oil the & original Gas develops designerand andmanufactures manufacturer Thermoplastic of Cone Penetration Composite Testing Pipe (CPT) (TCP) equipment. to the Oil &over For Gas85 industry years, Geomil since 2007. has been As the developing first and leading and manufacturing manufacturer CPT of technology, TCP, the company devices has gone and related to equipment deliver overfor20geotechnical TCP products site for various applications investigation. Today, in CPT both is one onshore of the and most offshore, SURF established testing andmethods Subsea Well for collecting Intervention markets, including high-quality subsoilhydrocarbon data. CPT data service, is gas lift, methanol andfor fundamental chemical reliableinjection. soil profiling as it reassures resourceful project planning and realization. Geotechnical engineers use the data for a wide-range of applications, such as ground improvement studies, planning for reclamation, foundation design and geohazard related studies. Headquartered in Contractors The Netherlands, Heerema Marine is a world leading Airborne Oil & Gas and manufactures marine contractor indevelops the international offshore Thermoplastic Composite PipeHeerema (TCP) toexcels the at oil & gas and wind industry. Oil & Gas industry sinceand 2007. As the fi rst and transporting, installing removing offshore leading manufacturer of TCP,the theentire company facilities. Heerema manages supply has gone to deliver over 20 TCPfrom products for chain of offshore construction, design various applications in both onshore and through to completion. offshore, SURF and Subsea Well Intervention markets, including hydrocarbon service, gas lift, The services encompass engineering, planning, methanol and chemical injection. logistics, project management & execution of projects all over the world. Heerema owns and operates the world’s largest crane vessels. Later this year her new-generation semisubmersible crane vessel Sleipnir becomes operational. Sleipnir is equipped with two 10,000 mTonnes cranes. Stand 1525 1723 Heerema is committed to creating The lightweight, high strength andinnovations corrosion that achieve the highest resistant composite pipespossible provideoperational cost and performance, predictability, quality & safety. operational benefi ts in subsea production and The state-of-the-art oil ficompany’s eld servicein-house applications. TCP is truly an Simulation Center achieves this and more – it economic and viable alternative to metal is a real-time virtual offshore environment in and flexible pipe. which the customers’ proposed project activities are integrated into realistic of operations, Airborne Oil & aGas (AOG)3D is world fully qualifi ed an excellent way understanding in accordance to to thegain newthorough DNV standard of project’s potential while enhancing DNVGL-ST-F119 for complexity TCP in subsea the ability to keep as low asbase possible. applications. AOG’scosts shareholder includes HPE, Shell Ventures, Chevron Technology Sustainability is a big partAramco of Heerema’s Ventures, Evonik, Saudi Energy responsibility and 7is and an essential component of the Ventures, Subsea Sumitomo Corporation. company’s management philosophy on all levels. Pipe and beam in Headquartered cutting The Netherlands, machines and services Airborne Oil & Gas develops and manufactures Thermoplastic HGG automateComposite craftmanship Pipeto(TCP) give to thethe world Oilsteel of & Gas theindustry freedomsince to create! 2007. Our As the strength first and leading lies in the manufacturer unique synergy of TCP, between the company our two has gone entities. business to deliver One over part 20ofTCP theproducts companyfor various on focuses applications developing in and bothproducing onshore and offshore, SURF customized 3D Profi and Subsea ling machines, Well Intervention while the markets, other performs including 3D Profi hydrocarbon ling services service, for third gas lift, methanol parties with and our chemical in-house injection. built machines. Cutting Machines We focus on developing and producing customized 3D Profiling machines for your specific demands. With our machines you get highly accurate cut results with a bevel. Stand 1629 1525 The lightweight, Cutting Services high strength and corrosion resistant composite provide for costyou andwith We perform 3D Profipipes ling services operational in subseaWhen production our in-housebenefi builttsmachines. cuttingand your oil field service TCPt is truly an 3D material at HGG,applications. you also benefi from HGG economic and viable technological alternative to expertise. metal Profi ling specialists’ and help flexible We you pipe. with design & detailing. 3D Profiling is done on our machines. Airborne Oilwe & can Gas get (AOG) is parts fully qualifi With them, your ready ed in accordance to the newand DNV standard for fast and easy fitting welding. DNVGL-ST-F119 for TCP in subsea applications. AOG’s shareholder base includes HPE, Shell Ventures, Chevron Technology Ventures, Evonik, Saudi Aramco Energy Ventures, Subsea 7 and Sumitomo Corporation. Headquartered in The Netherlands, Huisman is a worldwide operating company Airborne Oil & changing Gas develops and manufactures delivering step technical solutions Thermoplastic Composite Pipe in (TCP) to world’s leading companies the to oilthe & gas, Oil & Gas industry 2007.industries. As the first and renewables, leisuresince and civil leading manufacturer the company Our product range canofbeTCP, divided into six has gone to deliver over 20 TCP products for main categories: Cranes, Pipelay Equipment, various applications in both onshore and Drilling Equipment, Winches, Vessel Designs offshore, SURF and Subsea Well Intervention and Specials. markets, including hydrocarbon service, gas lift, methanol and chemical injection. Stand 1425 1525 Our projects range from stand-alone The lightweight, high strength and corrosion components to highly engineered, integrated resistant composite pipes provide cost and systems, from concept to installation andand operational benefi ts in subsea production lifetime support.applications. We are constantly working oil field service TCP is truly an on new solutions andalternative systems. to metal economic and viable and flexible pipe. As we have extensive operational experience with a wide of heavy construction Airborne Oil variety & Gas (AOG) is fully qualified equipment, wetoare use the best in accordance theable newtoDNV standard solutions for newfor products projects. DNVGL-ST-F119 TCP in and subsea applications. AOG’s shareholder base includes HPE, Shell Ventures, Chevron Technology Ventures, Evonik, Saudi Aramco Energy Ventures, Subsea 7 and Sumitomo Corporation. www.airborneoilandgas.com www.ihciqip.com Headquartered in The Netherlands, IHC IQIP is a globally operating market leader Airborne Oil & Gas develops and manufactures of Dutch origin, which supplies innovative Thermoplastic Pipe (TCP) to the equipment andComposite smart solutions for foundation, Oil & Gas industry since 2007. As the firstoiland installation and decommissioning in the & leading manufacturer TCP, the company gas, offshore wind andofcoastal & civil market. has gone to deliver over 20 TCP products for various applications in both onshore and offshore, SURF and Subsea Well Intervention markets, including hydrocarbon service, gas lift, methanol and chemical injection. Stand Stand 1525 1615 Founded in 2015high by merging known The lightweight, strengthfour andwell corrosion Royal IHCcomposite subsidiaries IHCprovide Hydrohammer, resistant pipes cost and IHC FUNDEX Equipment, IHC Handling operational benefi ts in subsea productionSystems and and Sea Steel, we draw on more thanan 200 oil fiIHC eld service applications. TCP is truly years of combined experience and economic and viable alternative to expertise metal and an unbridled flexible pipe. passion for service and innovation to meet the demands of a broad customer base, including and gas Airborne Oil & Gas (AOG)oil is fully qualified corporations, in accordanceinstallation to the new contractors, DNV standard engineering agencies DNVGL-ST-F119 for and TCP government in subsea authorities. applications. AOG’s shareholder base includes HPE, Shell Ventures, Chevron Technology Ventures, Evonik, Saudi Aramco Energy Ventures, Subsea 7 and Sumitomo Corporation. Stand Stand 1525 1615 • Blast resistant walls, welded and bolted types The lightweight, high strength corrosion • Cladding systems,pipes weather tight cost and/or resistant composite provide and blast reliefbenefits in subsea production and operational • forapplications. offshore andTCP onshore firean oilSpare field parts service is truly and blastand doors economic viable alternative to metal and flexible pipe. InterDam’s products are custom designed to suit different oil and Airborne Oil &environments Gas (AOG) issuch fullyasqualifi ed gas platforms and to FPSOs, wind energy transformer in accordance the new DNV standard installations, refineries, plants DNVGL-ST-F119 for TCPpetrochemical in subsea and laboratories. From supply ofbase a standard applications. AOG’s shareholder includes fi re door to the most complex specific HPE, ShellupVentures, Chevron Technology architectural projects, InterDam all Ventures, Evonik, Saudi Aramcohas Energy capabilities to support Ventures, Subsea 7 andyou. Sumitomo Corporation. www.airborneoilandgas.com www.iro.nl Headquartered in The Netherlands, IRO - The association of dutch suppliers Airborne Gasindustry developsand and manufactures in the oil Oil and&gas Thermoplastic Composite Pipe (TCP) to the offshore renewable industry Oil & Gas industry since 2007. As the first and leading manufacturer the ago, company Established nearly halfofa TCP, century the has gone to IRO deliver 20 TCP products fort association is anover independent non-profi various applications in bothand onshore and the organisation that supports promotes offshore, of SURF and Subsea Well Intervention interests its nearly 425 member companies. markets, including hydrocarbon service, gas lift, methanol and chemical injection. Stand 1629 1525 The IRO membershigh consist of a wide variety of lightweight, strength and corrosion both multinationals and SMEs. They resistant composite pipes provide costrepresent and the entire supply within production the Oil, operational benefichain ts in subsea and Gas Offshore Renewable TCP industry, oil fiand eld service applications. is truly an with activities covering: Engineering & economic and viable alternative to metal Consultancy, Construction & Fabrication, and flexible pipe. Plant & Equipment Supply, Contracting & Installation, Airborne Oil Exploration & Gas (AOG)&isProduction fully qualified and Personnel to & HSE, both for standard offshore in accordance the new DNV upstream oil & gas renewables DNVGL-ST-F119 forand TCPoffshore in subsea (wind and marine applications. AOG’senergy). shareholder base includes HPE, Shell Ventures, Chevron Technology Ventures, Evonik, Saudi Aramco Energy Ventures, Subsea 7 and Sumitomo Corporation. Industrial automation Headquartered in The Netherlands, is our specialism! Airborne JB Systems Oilsupplies & Gas develops industrialand automation manufactures Thermoplastic solutions around Composite the world Pipe to clients (TCP) to inthe the Oil & Gas industry engineering, offshore since and2007. process As the industries. first and leading manufacturer of TCP, the company has gone With moretothan deliver twenty overyears 20 TCP of products experience for various and 70 experienced applicationsengineers, in both onshore our clients and offshore, profi t from SURF an enormous and Subsea amount Well Intervention of markets, including knowledge and experience. hydrocarbon service, gas lift, methanol and chemical injection. Stand 1425 1525 For the The lightweight, offshore we highdeliver strength custom and corrosion made resistant composite automation solutions pipes for offshore provide cost equipment and operational such as cranes, benefi winches, ts in subsea stone production dump systems, and oil field cable layservice systems applications. and pipe layTCP equipment. is truly an economic and viable alternative to metal and flwe Also exible deliver pipe. custom made simulation systems for validation, HIL-testing and training. Airborne Oil & Gas (AOG) is fully qualified in accordance to the new DNV standard DNVGL-ST-F119 for TCP in subsea applications. AOG’s shareholder base includes HPE, Shell Ventures, Chevron Technology Ventures, Evonik, Saudi Aramco Energy Ventures, Subsea 7 and Sumitomo Corporation. Stand 1525 1723 the of complete FPSO Mooring System Theprovision lightweight, high strength and corrosion installations. resistant composite pipes provide cost and operational benefits in subsea production and The to build a new LNG Powered oil fidecision eld service applications. TCP is trulyHeavy an Lift Crane Vessel equipped with a 2,500 tonne economic and viable alternative to metal main and flcrane exiblepositions pipe. Jumbo ideally to provide complete transport and installation solutions for the new era ofisthe global offshore Airborne Oileconomic & Gas (AOG) fully qualifi ed energy industry.to the new DNV standard in accordance DNVGL-ST-F119 for TCP in subsea applications. AOG’s shareholder base includes HPE, Shell Ventures, Chevron Technology Ventures, Evonik, Saudi Aramco Energy Ventures, Subsea 7 and Sumitomo Corporation. Headquartered in provide The Netherlands, LIFT2WORK can and support the Airborne Oil & Gas develops and manufactures offshore industry with load lifting and Thermoplastic Composite Pipe (TCP) to the passenger transferring. Oil & Gas industry since 2007. As the first and leading manufacturer of TCP,produce, the company L2W is committed to design, build and has gone deliver over 20 Dutch TCP products supply thetoequipment with partnersfor to various applications in both onshore and support the international offshore industry offshore, SURF andand Subsea Well Intervention (oil, gas and wind) strengthen the leading markets, of including hydrocarbon position the Netherlands in theservice, world. gas lift, methanol and chemical injection. L2W developed, produced and offers a new way of offshore access by lifting to work. Lifting passenger (6 persons) or lifting load (2000 kg) till 20 meter above deck or -6 meter under the deck line, all with one piece of equipment called the OPTS, Offshore Passenger Transfer System. Stand 1629 1525 The website www.lift2work.nl lightweight, high strength will and shortly corrosion introduce the way ofpipes access and several resistant composite provide cost and application operational animations. benefits in subsea production and oil field service applications. TCP is truly an At L2W weand believe all injuries and economic viablethat alternative to metal accidents arepipe. preventable. Every employee is and flexible responsible not just for their own safety but for the safety their co-workers. Our goal Airborne Oil &ofGas (AOG) is fully qualifi ed is to a culture making safe and in develop accordance to the where new DNV standard environmentally DNVGL-ST-F119 conscious for TCP in decisions subsea is an everyday behavior all employees. applications. AOG’sfor shareholder base includes HPE, Shell Ventures, Chevron Technology Ventures, Evonik, Saudi Aramco Energy Ventures, Subsea 7 and Sumitomo Corporation. www.airborneoilandgas.com www.mammoet.com Headquartered in The Netherlands, At Mammoet, we provide solutions for lifting, Airborne Oil installing & Gas develops and manufactures transporting, and decommissioning Thermoplastic Composite Pipe to the large and heavy structures. Our(TCP) sophisticated Oil &powerful Gas industry since 2007. the first and and equipment meansAs nothing leading manufacturer of TCP,isn’t the company without a plan. Our business about size. has about: gone totime. deliver over 20 TCP products for It’s various applications in both onshore and offshore,Turnaround SURF and Subsea Wellto Intervention Uptime. time. Time market. markets, includingtime hydrocarbon service,that gas lift, To our customers, is the currency methanol and That’s chemical matters most. whyinjection. we strive to bring their deadlines forward. It’s an integrated, daily effort shared by everyone at Mammoet. Stand Stand 1525 1615 That’s how we move for our The lightweight, hightime strength andcustomers. corrosion So time isn’t set in concrete. Or forged in steel. resistant composite pipes provide cost and It’s not evenbenefi all that heavy. And yet, it’s the operational ts in subsea production and biggest weapplications. can move for you. oil field thing service TCP is truly an economic and viable alternative to metal Discover more on www.mammoet.com. and flexible pipe. Airborne Oil & Gas (AOG) is fully qualified in accordance to the new DNV standard DNVGL-ST-F119 for TCP in subsea applications. AOG’s shareholder base includes HPE, Shell Ventures, Chevron Technology Ventures, Evonik, Saudi Aramco Energy Ventures, Subsea 7 and Sumitomo Corporation. www.airborneoilandgas.com www.marflex.com Headquartered in The Netherlands, MarFlex develops, manufactures and Airborne Oil & Gas develops and manufactures maintains electric driven deepwell pump Thermoplastic Composite Pipeportable (TCP) to pump the systems and hydraulic driven Oil & Gasforindustry sinceand 2007. As thesectors. first and systems the marine offshore leading manufacturer of TCP, the company has offer gone intelligent, to deliver over 20 TCP products for We top-quality various applications in both with onshore and and services, in compliance the highest offshore, SURF and and Subsea Well Intervention standards in safety environmental markets, including hydrocarbon service, gas lift, management. Our customers comprise methanol andshipping chemicalcompanies, injection. oil majors, international EPC contractors and shipyards. Stand 1525 Our head office and plant are The lightweight, highproduction strength and corrosion located the Netherlands. MarFlex also resistantincomposite pipes provide cost andhas offi ces in Hong Kong China. Togetherand operational benefi ts inand subsea production with a global network of agents, oil field service applications. TCPtraining is truly an and serviceand centers economic viablethroughout alternativethe to world, metal we’re able topipe. provide a dependable service and flexible worldwide 24 hours a day. Airborne Oil & Gas (AOG) is fully qualified in accordance to the new DNV standard DNVGL-ST-F119 for TCP in subsea applications. AOG’s shareholder base includes HPE, Shell Ventures, Chevron Technology Ventures, Evonik, Saudi Aramco Energy Ventures, Subsea 7 and Sumitomo Corporation. Stand 1525 The and lightweight, high strength and corrosion Oil Gas resistant composite provide cost and During the transitionpipes to sustainable energy, operational benefitsessential in subsea production and oil and gas remain parts of our energy oil field service applications. TCP is truly an mix. Using our knowledge and unique facilities, economic and viabletoalternative metal and MARIN contributes improvingtoconcepts and flexible pipe. for oil and gas extraction making operations at sea safer. Airborne Oil & Gas (AOG) is fully qualified in accordance to the new DNV standard DNVGL-ST-F119 for TCP in subsea applications. AOG’s shareholder base includes HPE, Shell Ventures, Chevron Technology Ventures, Evonik, Saudi Aramco Energy Ventures, Subsea 7 and Sumitomo Corporation. Stand 1629 1525 to an approach thecorrosion needs of Theapply lightweight, high tailored strength to and our clients and makes us unique theand industry. resistant composite pipes providetocost operational benefits in subsea production and Our oil fiApproach eld service applications. TCP is truly an We are a family run business which is reflected economic and viable alternative to metal by fast decisions making processes. andour flexible pipe. This enables us to ensure an efficient process for each project and(AOG) underlines ourqualifi long-term Airborne Oil & Gas is fully ed commitment It goes without in accordancetotoour theclients. new DNV standard saying that safety,for quality, DNVGL-ST-F119 TCP inand subsea cost-effectiveness self-evident to us. applications. AOG’sare shareholder base includes Our andChevron experienced team of HPE,multinational Shell Ventures, Technology industry drivenAramco to meetEnergy and exceed Ventures,experts Evonik,isSaudi our clients’Subsea requirements, with resourceful Ventures, 7 and Sumitomo Corporation. solutions which add value to each project. Stand 1629 1525 • Paradigm Drilling The lightweight, highServices strength and corrosion • Paradigm Flow Services Ltd resistant composite pipes provide cost and • Paradigm benefi Intervention Technologies operational ts in subsea production and • Technology Services oilParadigm field service applications. TCP is truly an economic and viable alternative to metal Each the operating companies is and flof exible pipe. a stand-alone unit with unique technologies supported by &very Airborne Oil Gasstrong (AOG)Intellectual is fully qualified Property positions. thisstandard very in accordance to theEven newinDNV challenging business climate, an aggressive DNVGL-ST-F119 for TCP in subsea R&D effort continues and now includes applications. AOG’s shareholder base includes joint partnerships with HPE, development Shell Ventures, Chevron Technology major oil and gas Saudi operators. Ventures, Evonik, Aramco Energy Ventures, Subsea 7 and Sumitomo Corporation. www.airborneoilandgas.com www.redboxgroup.com World Leader ininLNG Headquartered The Module Netherlands, Transportation Airborne Oil & Gas develops and manufactures Thermoplastic RED BOX ENERGY Composite SERVICES Pipe (TCP) is the to leading the Oil & Gasofindustry provider modulesince transportation 2007. As the services first and leading for Major manufacturer LNG Liquefaction of TCP,Projects. the company has gone The RED BOX to deliver Teamover has transported 20 TCP products a majority for various of the modules applications installed in both at GORGON onshore LNG, and offshore, SURF ICHTHYS LNG and and YAMAL Subsea Well LNG Intervention and has markets,closely worked including withhydrocarbon world’s Leading service, gas lift, methanol Energy Majors and chemical & EPC Companies. injection. Stand 1629 1525 The Polar lightweight, Class (PC3) high Heavy strength Transport and corrosion Sister resistant Ships, AUDAX composite and PUGNAX pipes provide are the costonly and operational module carriers benefi intsthe in world subseatoday production that can and oil fieldnavigate safely service unescorted, applications.year-round TCP is truly above an economic the Arctic and Circle. viable Theyalternative have beentodesigned metal and and flexible to constructed pipe. safely transport module cargoes weighing as much as 20,000 tonnes. Airborne Oil & Gas (AOG) is fully qualified in accordance The vessels have to an theice-free new DNV deck standard area capable DNVGL-ST-F119 of receiving both for sideTCP andinstern subsea loadout and applications. discharge of modules AOG’s shareholder as long as base 80 meters includes HPE, aShell with beamVentures, of 45 meters. Chevron Technology Ventures, Evonik, Saudi Aramco Energy Ventures, Subsea 7 and Sumitomo Corporation. www.airborneoilandgas.com www.resato.com Headquartered in The Netherlands, Resato is a Dutch provider of smart high Airbornesolutions Oil & Gas develops and pressure with the aim to manufactures increase Thermoplastic Composite Pipe (TCP) to the the productivity of its worldwide customers. Oil & Gas industry since 2007. As the first and leading manufacturer of TCP, components the companyand We develop and manufacture has gonefor to testing, deliver over 20 TCP for systems injection, andproducts controlling various applications inthe both onshore up to 14000 bars with mission to and meet offshore, SURF Subsea Well Intervention and exceed the and expectations of our customers. markets, including hydrocarbon service, gas lift, methanol and chemical injection. The business in the oilstrength & gas industry is the lightweight, high and corrosion core competence of pipes Resatoprovide International. resistant composite cost and operational benefits in subsea production and With 25 service years ofapplications. experience in high pressure oil field TCP is truly an technology, weviable are equipped withtothe economic and alternative metal knowledge provide reliable and safe and flexibletopipe. solutions for our oil & gas customers. Airborne Oil & Gas (AOG) is fully qualified in accordance to the new DNV standard DNVGL-ST-F119 for TCP in subsea applications. AOG’s shareholder base includes HPE, Shell Ventures, Chevron Technology Ventures, Evonik, Saudi Aramco Energy Ventures, Subsea 7 and Sumitomo Corporation. Stand Stand 1525 1715 With a history steeped in Dutchand shipbuilding The lightweight, high strength corrosion since the composite mid-17th Century, we have resistant pipes provide costin-depth and knowledge expertise of engineering operational and benefi ts in subsea productionand and manufacturing integrated oil field service high-performance applications. TCP is truly an vessels andand equipment, and providing economic viable alternative to metal sustainable and flexibleservices. pipe. At IHC, we the(AOG) capacity to think beyond Airborne Oilhave & Gas is fully qualifi ed technology and, in accordance to in theclose newcollaboration DNV standardwith all stake holders, create the optimal solution for DNVGL-ST-F119 for TCP in subsea our customersAOG’s projects. applications. shareholder base includes HPE, Shell Ventures, Chevron Technology Ventures, Evonik, Saudi Aramco Energy Ventures, Subsea 7 and Sumitomo Corporation. Headquartered in The Netherlands, engineering SDC Verifier offers comprehensive Airborne Oilservices & Gas develops and manufactures consultancy with an expertise in the Thermoplastic Composite Pipe (TCP) to the field of FEM analysis in Marine and Offshore, Oil & Consumer Gas industry since 2007. As the first and Civil, Products industries. leading manufacturer of TCP, the company has gone overpowerful 20 TCP products SDC Verifito er deliver is offering standardsfor various in works both onshore and checkingapplications software that within different offshore, SURFsuch and as Subsea Well Intervention FEA solutions Ansys, Femap, Simcenter markets, including hydrocarbon service, gas lift, 3D. It includes the main engineering standards methanol andindustries. chemical injection. for different SDC Verifier enables code checking in Ansys, Femap and Simcenter 3D. It helps to automatically verify your model according to multiple industry standards without the need of creating any additional models or spreadsheets. Stand Stand 1525 1615 gas. Generally, the markets thatand we corrosion serve are The lightweight, high strength characterized by: pipes provide cost and resistant composite operational benefits in subsea production and • oilHigh fieldcapital serviceintensity applications. TCP is truly an • 24/7 operations at remote locations economic and viable alternative to metal • Challenging conditions and flexible pipe. In order toOil withstand these isconditions, Seatools Airborne & Gas (AOG) fully qualifi ed provides reliable, effective, and innovative in accordance to the new DNV standard solutions that increase uptime and improve safety DNVGL-ST-F119 for TCP in subsea and operational efficiency for ourbase customers. applications. AOG’s shareholder includes HPE, Shell Ventures, Chevron Technology We support our clients the entire Ventures, Evonik, Saudithroughout Aramco Energy lifecycle: techno-economic to Ventures, from Subsea 7 and Sumitomostudies Corporation. disassembly. We provide T&I services for our Self-Installing Platforms and lifted installations using sheerlegs for topsides up to 25,000 tonnes using our innovative technology. Furthermore, we supply and install complete moorings including hook-up to the FPSO, buoy or floating wind turbine. Involved in a wide Headquartered in The range Netherlands, of Oil & Gas projects, Airborne OilWorks Temporary & GasDesign develops (TWD) and has manufactures built Thermoplastic up the vast expertise Composite in the Pipe Oil(TCP) & Gastosector, the Oil & Gastoindustry required becomesince your 2007. reliable Asproject the first partner. and leading Our structural manufacturer and mechanical of TCP, the engineers company can has gone assist in your to deliver projectover with20the TCP design products of for various applications tailor-made temporary in works both onshore and tools and for offshore, SURF transport & installation and Subsea challenges. Well Intervention With the markets, design specialized including equipment hydrocarbon likeservice, cantilevers gas lift, for methanol operations workover and chemical or by injection. creating innovative tools for an efficient LNG-jetty construction. Stand 1629 1525 Whether The lightweight, the challenge high strength is simpleand or corrosion complex, resistant TWD designs composite stand out pipesbyprovide their practicality, cost and operational without compromising benefits in subsea on quality production and and oil field service operational safety. applications. Being a smartly TCP isdesigned truly an economic andfor seafastening viable a decommissioning alternative to metal project anda fl or motion exible compensated pipe. pedestal crane for platform supply operations, all our solutions Airbornewith comply Oil & theGas applicable (AOG) isstandards fully qualifi & ed in accordance codes to assuretoa the certifi new ed DNV and safe standard operation. DNVGL-ST-F119 for TCP in subsea applications. AOG’s shareholder base includes HPE, Shell Ventures, Chevron Technology Ventures, Evonik, Saudi Aramco Energy Ventures, Subsea 7 and Sumitomo Corporation. www.airborneoilandgas.com www.trustlube.com Headquartered in The Netherlands, TrustLube Sustainable Lubrication Systems. Airborne Oil & Gas develops and manufactures Thermoplastic Composite Pipe (TCP) to the TrustLube designs, manufactures, assembles Oil &installs Gas industry since 2007. As the first and and automatic lubrication systems leading manufacturer TCP, the company monitoring systems forofthe maritime, dredging, has goneand to deliver over 20 TCP Our products for offshore oil & gas industry. skill lies various applications both onshore in choosing the exactindosage requiredand for the offshore, SURF and Subsea Wellperformance. Intervention installation to achieve a sound markets, including hydrocarbon service, gas lift, methanol and chemical injection. Stand 1629 1525 The method of TrustLube takes and carecorrosion of the lightweight, high strength continuity of the industrial processcost andand enables resistant composite pipes provide installations to achieve significant lubricant operational benefi ts in subsea production and savings. Our sustainable TrustLube oil field service applications. TCP issystems truly an continually prove themselves in the most economic and viable alternative to metal extreme conditions. and flexible pipe. TrustLube can&save on your consumpAirborne Oil Gas (AOG) is lubricant fully qualifi ed tion, extend the yourstandard equipment and in accordance tolifetime the newofDNV increase your uptime. DNVGL-ST-F119 for TCP in subsea applications. AOG’s shareholder base includes Uptime Starts here Chevron Technology HPE, Shell Ventures, Ventures, Evonik, Saudi Aramco Energy Ventures, Subsea 7 and Sumitomo Corporation. The next generation Headquartered in Theaccess Netherlands, systems Airborne Oil & Gas develops and manufactures Thermoplastic Safeway designs Composite and fabricates Pipe (TCP) motion to the Oil & Gas industry compensated gangway sincebridges 2007. As andthe with first itsand leading manufacturer Seagull-type sets a new of standard TCP, the for company motion has gone to deliver compensated systems. over 20 TCP products for various applications in both onshore and offshore, With year-round SURF and workability Subsea Well at 20+ Intervention meter markets, above seaincluding level, Safeway hydrocarbon redefines service, the state gas of lift, methanol affairs in offshore and chemical accessinjection. solutions. Extensively tested and based on proven technology, the application of an additional roll compensation actuator provides a spectacular reduction of overall gangway motions. Stand 1525 Handled The lightweight, as a ‘Single highlift’ strength and with and its corrosion ‘Plug & resistant Play’ confi composite guration, pipes the Safeway provide iscost very and suitable operational to be utilizedbenefi on different ts in subsea vessels production with minimal and oil field service installation efforts applications. or modifications TCP is truly an economic to the vessel andstructure. viable alternative to metal and flexible pipe. As part of the Van Aalst Group, Safeway Airborne Oil & supplements theGas broad (AOG) range is fully of innovations qualified in accordance developed and to brought the new to DNV the market standard by the DNVGL-ST-F119 group in strong partnerships for TCP in subsea with major applications. suppliers. With AOG’s multiple shareholder offices abroad, base includes HPE, Shell Clients are Ventures, facilitatedChevron in their operational Technology Ventures, needs by aEvonik, dedicated Saudi operational Aramco Energy support team. Ventures, Subsea 7 and Sumitomo Corporation. Headquartered The Netherlands, Van Heck is anininternationally operating Airborne with Oil &50 Gas develops and manufactures company years’ experience in the Thermoplastic Composite (TCP) to the fi eld of water control and Pipe management. Oil &Heck’s Gas industry since 2007.called As theupon first to and Van speciality is often leading manufacturer of TCP, the company manage floods. Van Heck’s expertise includes has gone to deliver over 20 TCP for products for providing tailor-made solutions dredging, various in both government onshore and and civil andapplications industrial projects, offshore, SURFVan andHeck Subsea Wellactive Intervention water boards. is also in the markets, industry includingwith hydrocarbon service, offshore ballast services forgas lift, methanoland andflchemical load-out oat-over injection. operations. Stand 1629 1525 Van Heck’s newest innovation thecorrosion Sea The lightweight, high strength is and Trophy. first complete mobile cost pump system resistantThe composite pipes provide and that enablesbenefi the controlled, contained, fastand oil operational ts in subsea production recovery after incorrect or off-spec oil field service applications. TCP is fuelling truly anand in the event ofviable grounding or calamity at sea. economic and alternative to metal and flexible pipe. Airborne Oil & Gas (AOG) is fully qualified in accordance to the new DNV standard DNVGL-ST-F119 for TCP in subsea applications. AOG’s shareholder base includes HPE, Shell Ventures, Chevron Technology Ventures, Evonik, Saudi Aramco Energy Ventures, Subsea 7 and Sumitomo Corporation. Headquartered in The Netherlands, Van Oord is a leading contractor for dredging, Airborne Oil & Gas and develops andenergy manufactures marine engineering offshore (oil, Thermoplastic Pipe (TCP) to the gas and wind) Composite projects, offering innovative Oil & Gas to industry 2007. As first and solutions marinesince challenges. Thethe company leading manufacturer TCP,than the fi company operates worldwide in of more fty countries. has gone to deliver over 20 TCP products for various applications in both onshore and The growth of the global economy and the offshore, SURF and Subsea Well expanding world population are Intervention generating markets, including hydrocarbon gas lift, an increasing demand for energyservice, worldwide. methanol andglobal chemical injection. To meet this demand for energy Van Oord Offshore delivers offshore installation projects. We provide integrated solutions with a focus on the installation, stabilisation and protection for the offshore oil, gas and wind infrastructure. Stand 1525 1723 Van Oord Offshore is astrength niche specialist in two The lightweight, high and corrosion services: As a specialist for and resistant composite pipescontractor provide cost nearshore cable installation, operationalpipeline benefitsand in subsea production and Van Offshore is able to offer integrated oil fiOord eld service applications. TCP isantruly an package allviable the service required to construct economicfor and alternative to metal aand landfall area, where pipelines or cables flexible pipe. approach the shore. Airborne Oil & Gas (AOG) is fully qualified Van Oord also to leads in Subsea Rock in accordance the the newmarket DNV standard Installation (SRI).for OurTCP fleetinof flexible fall pipe DNVGL-ST-F119 subsea vessels and side stone dumping vessels enable applications. AOG’s shareholder base includes us to Shell stabilise and protect pipelines, cables HPE, Ventures, Chevron Technology and other Evonik, offshoreSaudi structures in aEnergy wide range Ventures, Aramco of water depths withSumitomo a wide range Ventures, Subseaand 7 and Corporation. of materials. Headquartered in The partner Netherlands, Vryhof is the trusted to many of Airborne Oilindustry’s & Gas develops manufactures the offshore leadingand companies, Thermoplastic Composite (TCP) to the delivering innovative andPipe customer-focused Oil & Gas industry since solutions. 2007. As the first and anchoring and mooring leading manufacturer of TCP, the standards company We are committed to the highest hassafety gone and to deliver over 20 TCP products for of integrity. various applications in both onshore and offshore,consists SURF and Subsea Intervention Vryhof of: Deep SeaWell Mooring, markets, including hydrocarbon MoorLink and Vryhof Anchors. service, gas lift, methanol and chemical injection. Deep Sea Mooring is the trusted choice for E&P companies and drilling operators that demand the best in safe, innovative and optimum quality mooring solutions. Stand Stand1525 1131 The lightweight, high solutions strength and MoorLink’s mooring meetcorrosion the most resistant needs composite provide offshore cost and extreme of thepipes demanding operational benefi ts in connections subsea production industry. Swivel links, and and oil field service applications. TCP is truly an wire clamps. economic and viable alternative to metal and flexible pipe.designs and provides drag Vryhof Anchors embedment anchors and related mooring Airborne Oilfor& larger Gas (AOG) is fully qualifiin ed equipment floating structures in accordance to theindustries new DNVas standard the offshore energy well as DNVGL-ST-F119 TCP in subsea for offshore civil for applications. applications. AOG’s shareholder base includes HPE, Shell Ventures, Chevron Technology Ventures, Evonik, Saudi Aramco Energy Ventures, Subsea 7 and Sumitomo Corporation. vryhof.com Vryhof is a trusted partner to many of the offshore industryâ&#x20AC;&#x2122;s leading companies, delivering innovative and customer-focused anchoring and mooring solutions. We are committed to the highest standards of safety and integrity and are proud of our legacy and impeccable track record, delivering value in everything we do. Our 50-year history of setting standards and leading the way in the offshore sector makes us unique in terms of our expertise and breadth of services. In recent years, Vryhof and its installation partners have taken full scope permanent mooring projects for offshore oil & gas and renewables applications by offering innovative and cost effective solutions including design, procurement, installation, life extension and decommissioning. Vryhof consists of: Deep Sea Mooring, MoorLink and Vryhof Anchors. • fully integrated reel lay vessel • highest payload to displacement ratio • groundbreaking pipe laying system.